The tomatoes are going crazy in the garden and I am trying to find healthy, easy recipes to use them in. The only problem is, the tomatoes are beating me up! I create a recipe with tomatoes and my garden grows 10 more. I can’t keep up! Needless to say I have been eating a lot of tomato basil salads with balsamic glaze. That is my go-to snack and lunch. I think I eat more tomatoes in a day then the average person. Not that there is anything wrong with that. 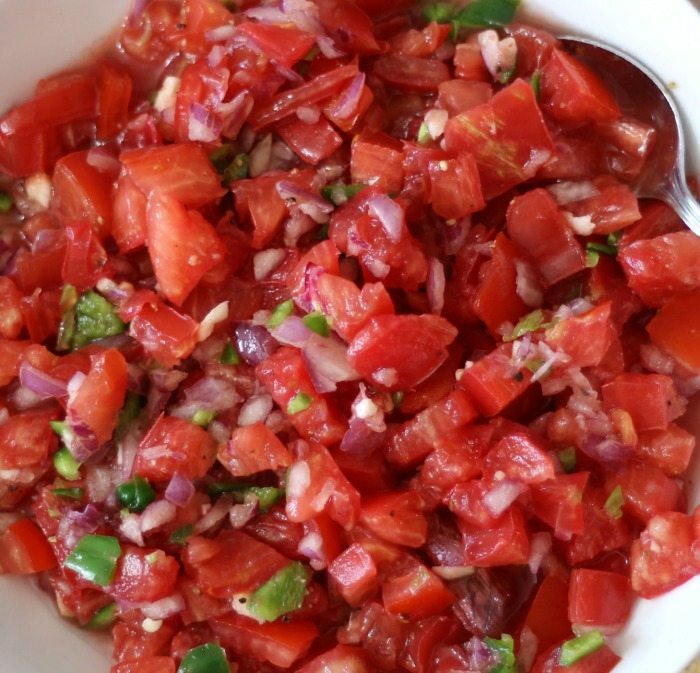 Tomatoes are healthy, low-calorie, non-fat and in the garden, they taste amazing. I like to call it the pick and pop. You know, pick a tomato and pop in my mouth. Ok, that is only with cherry and grape tomatoes. 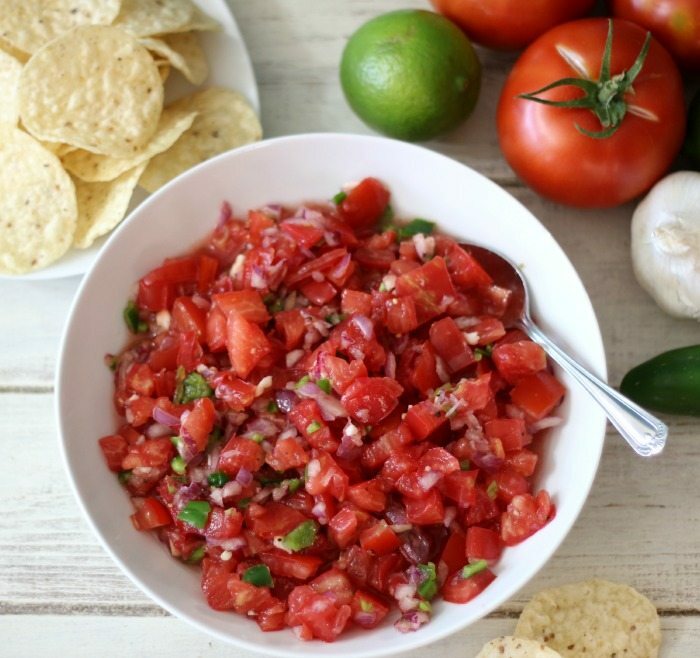 So today I have another tomato recipe for you and that is simply Pico de Gallo. 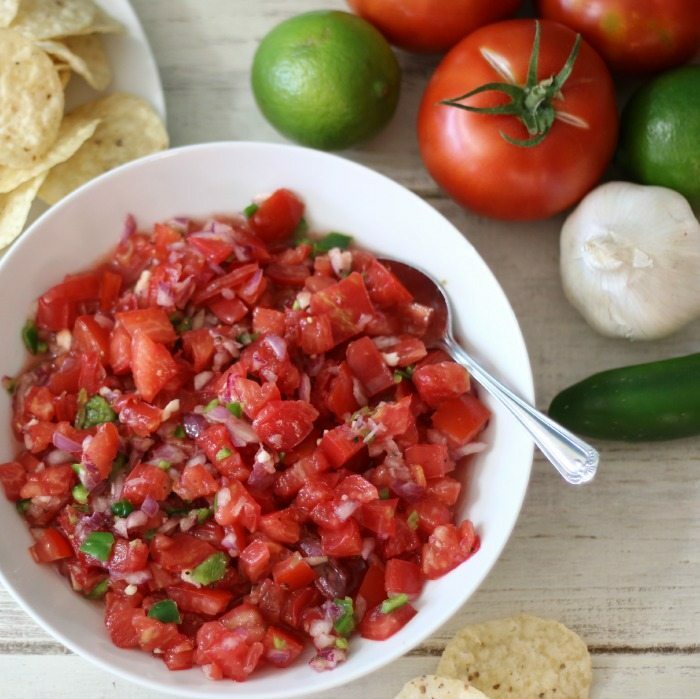 My Pico de Gallo is made with tomatoes, jalapeno, garlic, onion and a fresh lime. It’s light, refreshing and only 19 calories for a 1/2 a cup. Not to bad. Completely guilt-free! You can add cilantro to it, but I skipped it, since I am not a fan of cilantro. The possibilities are endless. But it’s also good eaten with a spoon. 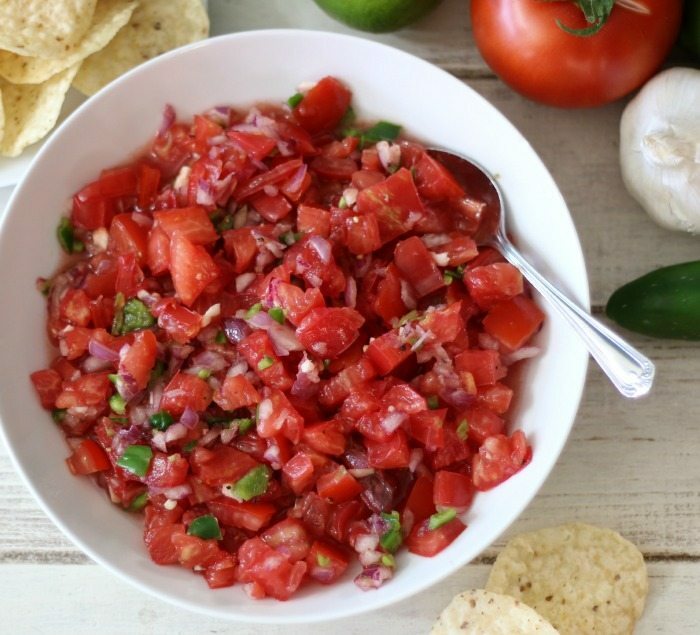 A light, healthy Mexican side dish, made with tomatoes, onion, jalapenos and garlic. Add all ingredients to a bowl, mix until combined. Season with salt and pepper is desired. Feel free to add cilantro to the recipe. I need more tomato recipes. If you follow my on Instagram, you will see how many tomatoes I keep picking. 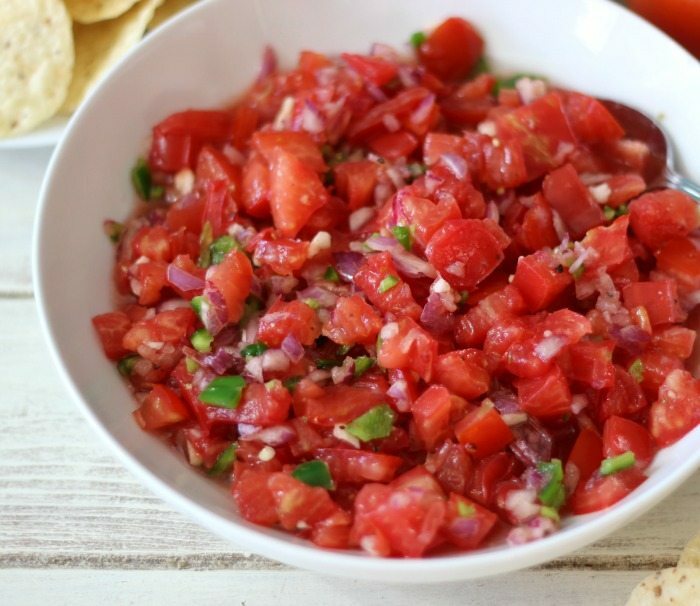 This is cool, it has everything that pure pico de gallo should have, onion, tomato and jalapeño, I’ve been following your blog since like a week ago because of your drinks and my boredom as a 16 year old grounded guy.